Who deserves an ADA lawsuit? Where will the next one strike? Will it be you? The Mo’s Universe family of restaurants/bars in Hillcrest (which includes Urban Mo’s, Baja Betty’s, Gossip Grill and the Hillcrest Brewing Company) has a solid reputation in the community for being a friendly and inviting place for all people, including those with disabilities. For example, they recently helped sponsor a grassroots effort to raise $65,000 for a local disabled volunteer, donating thousands of dollars themselves to the cause. Serial litigants strike places that are out of compliance, regardless of who they are suing. In this case, this restaurant chain’s owners were donating money, and being strong philanthropists in the community. But the business that is sued for not being ADA compliance are places of public accommodation that are out of compliance. In this case, parking striping. The article is correct, finding a qualified certified access specialist is of the utmost importance. The laws change often and most contractors don’t even know how to measure the space properly. Each of these dimensions are very specific… so that either you know them or you don’t. For those that don’t everything looks fine. For those that do know them — problems can be quite obvious even to the naked eye. This means, of course, that non-compliant items are effectively “sue me” advertisements to anyone passing by. To boot, most of the items that need to be addressed immediately are inexpensive to fix, as those are the items which are easiest for plaintiffs to claim the responsible party was “negligent”. So that’s a double whammy! Don’t hesitate. Save yourself time, money and piece of mind. Contact us right away. Don’t let your parking lines be $4,000 parking lines. A lawsuit over obesity and wrongful termination could lead the way for obesity to be considered a disability. The repercussions go far beyond employment, as in the future obese individuals may have increased requirements on buildings. In a new federal lawsuit in the U.S. District Court for the Eastern District of Missouri, Whittaker v. America’s Car-Mart, Inc., the plaintiff is alleging his former employer violated the Americans with Disabilities Act (ADA) when it fired him for being obese. Plaintiff Joseph Whittaker claims the company, a car dealership chain, fired him from his job as a general manager last November after seven years of employment even though he was able to perform all essential functions of his job, with or without accommodations. He alleges “severe obesity … is a physical impairment within the meaning of the ADA,” and that the company regarded him as being substantially limited in the major life activity of walking. Similarly, in 2010, the EEOC sued Resources for Human Development, Inc. (RHD) in the U.S. District Court for the Eastern District of Louisiana, for firing an employee because of her obesity in violation of the ADA. According to the suit, RHD fired Harrison in September of 2007 because of her severe obesity. The EEOC alleged that, as a result of her obesity, RHD perceived Harrison as being substantially limited in a number of major life activities, including walking. Ms. Harrison died of complications related to her morbid obesity before the case could proceed. RHD moved for summary judgment, arguing obesity is not an impairment. The court, having reviewed the EEOC’s Interpretive Guidance on obesity, ruled severe obesity (body weight more than 100% over normal) is an impairment. 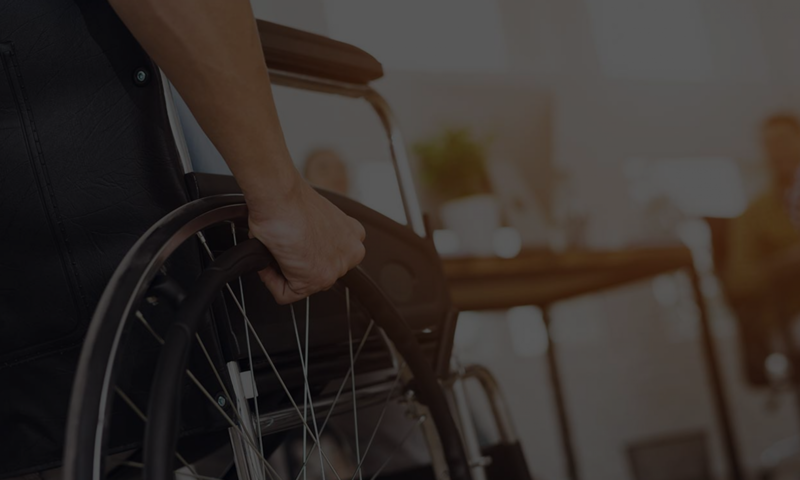 The court held that if a plaintiff is severely obese, there is no requirement that the obesity be caused by some underlying physiological impairment to qualify as a disability under the ADA. The parties settled the case before trial for $125,000, which was paid to Ms. Harrison’s estate. In June 2013, the American Medical Association (AMA) declared that obesity is a disease. Although the AMA’s decision does not, by itself, create any new legal claims for obese employees or applicants under the ADA, potential plaintiffs are likely to cite the new definition in support of ADA claims they bring. In light of these recent developments, obesity related ADA claims will likely become more common. Although this case did not result in establishing obesity or even severe obesity as being a qualifying disability (rather than simply a disability), you can be sure more individuals will attempt this line of reasoning in the near future. Many of the ADA lawsuits are filed by serial litigants. There are some litigants, however, who do not seek financial gain. Stakeholders often villianize ADA lawsuit plaintiffs, but its difficult to villianize those who don’t make money from the suit. A former Ms. Wheelchair South Dakota is suing eight Sioux Falls businesses for making it too difficult for people with disabilities to park, shop, dine, gamble or use a restroom. Kristina Allen, 33, wants a judge to force the businesses to adhere to the accessibility standards of the Americans With Disabilities Act of 1992. The lawsuits, filed over several days last week in the U.S. District of South Dakota, target Jacky’s Restaurant and Bakery, Boonies Bar and Barbeque, Nutty’s Pub and Grill, Black Sheep Coffee, Sixth Street Market, Golden Harvest Chinese Restaurant, The Mint Casino and Crown Casino. Allen claims that each of the businesses discriminate against people in wheelchairs by denying equal access. She has not asked for financial damages, but wants a federal judge to order each of the businesses to renovate to come into compliance with the law. To open the new years, we have some good news for property owners seeking to defend against frivolous ADA lawsuits. The trick in defending such cases is to prove that the alleged violations are in fact frivolous… or in this case, not readily achievable. Part of the reason to get a good attorney is that such an attorney will be able to present the case in this light. But unless the attorney can do the inspection themself, and unless the attorney is well versed in ADA and State building codes, you will need an expert witness to inspect the property and present the case. Despite the passage of SB1186, in an attempt to cure lawsuits, California is ending another year as a hotbed of litigation. This includes the increasing number of lawsuits for SB1186. While many of my professional contacts (architects, attorneys, mostly) have hoped that the passage of SB1186 would decrease the number of lawsuits by making it difficult for attorneys to send out demand letters — this has proved to be the opposite. The lowered amount for damages seems to have only provided more incentive for serial litigants to sue on an even broader basis, to retain the level of income they are accustomed to. Nonetheless, the fact remains, the only real avoidance of a lawsuit is to be compliant. A tape measure does not lie. It does not vote for Democrats or Republicans. Should someone sue you for not having proper access, having proper access will go a long way to saying “Hello, I have proper access. You are wrong to bring me to suit.” In fact, having compliant access is the only sure fire way to win. Legislation like SB1186 is just a band-aid on a festering issue. Keep in mind though, SB1186 is, after all, only California law. The issue of ADA lawsuits is proving more widespread than just California. Some national professional groups have begun to notice that going to courts isn’t worth the hassle. Insurance could help, as a band-aid, but if you are sued too many times for being non-compliant, they will drop you. Compliant access is the only real long term solution. This property management magazine speaks very broadly on the issue… probably because state laws differ on this issue, especially for condominium spaces…. so national groups must rely on local expertise. As issues of compliance become more noticed by professional property managers, so too are they more noticed by potential plaintiffs. Here’s an article about a possible serial litigant in Missouri. If anything, signs point to ADA compliance and lawsuits mushrooming even further in 2013. Any thoughts on this? This will be the last article I post this year. I hope you all have a very happy, access compliant holiday, whatever state you are in. The basic understanding for how to avoid lawsuits remains the same no matter what state you are in or what the laws are for ADA compliance. Figure out where you are out of compliance and make a plan to fix it immediately. There are no short cuts, or any other sure ways to avoiding ADA lawsuits. Colorado has recently joined larger states like New York, Florida and California in suffering a wave of “Drive-by Litigation.” Recently a single disabled plaintiff and Florida attorneys have filed many nearly identical lawsuits designed to extort settlements from Denver Metro Area businesses for failure to comply with the Americans with Disabilities Act (“ADA”). Channel 7 News reports that these same two attorneys have filed hundreds of similar lawsuits in other states. How can you avoid your business becoming the target of a drive-by ADA lawsuit? You can start by auditing your business for ADA compliance.